Dr. Joel Snyder is known internationally as one of the world’s first “audio describers,” a pioneer in the field of audio Description, making theater events, museum exhibitions, and media accessible to people who are blind or are vision-impaired. Since 1981, he has introduced audio description techniques in over 40 states and 45 countries. Dr. Snyder has made hundreds of live theater productions accessible; his company, Audio Description Associates, LLC (www.audiodescribe.com) uses the same techniques to enhance a wide range of media projects including "Sesame Street," PBS, ABC and Fox network broadcasts, dozens of DVDs, feature films, and museum exhibits. 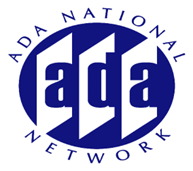 He serves as Director of the American Council of the Blind’s Audio Description Project (ADP). The ADP produced description for ABC-TV’s nationwide coverage for both of President Obama’s inaugurations and recently produced the first-ever audio described tour of The White House; the ADP website (www.acb.org/adp) is the nation’s principal provider of information and resources on audio description. Dr. Snyder holds a Ph.D. from the Universitat Autonoma de Barcelona; the American Council of the Blind recently published Dr. Snyder’s book, The Visual Made Verbal – A Comprehensive Training Manual and Guide to the History and Applications of Audio Description.